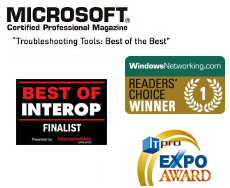 Over the many years the ServersCheck Monitoring Software has won multiple awards. email, Slack, SMS or voice call. Meet the new ServersCheck Monitoring Appliance. A small compact device featuring the latest version of the award winning ServersCheck Monitoring Software. We will do our best to make you love them too. With the release of version 12, ServersCheck has made the core of its award winning Monitoring Software free for personal and non-commercial use*. Whether you are monitoring 10, 100 or more systems. Free support is available from the user community. Use by a for-profit or government organization requires the purchase of a (touch) appliance. The Monitoring Appliance enables you to centrally monitor your different base units. On top of that, the device adds reporting and logging capability for the sensors. Do you have 3rd party sensors? Via SNMP you can monitor them through the appliance. Giving you a holistic view on your entire sensor network. Wide Range of Check Types. and of course the ServersCheck environmental, power & security sensors. Seeing the location of an issue is what makes the difference. 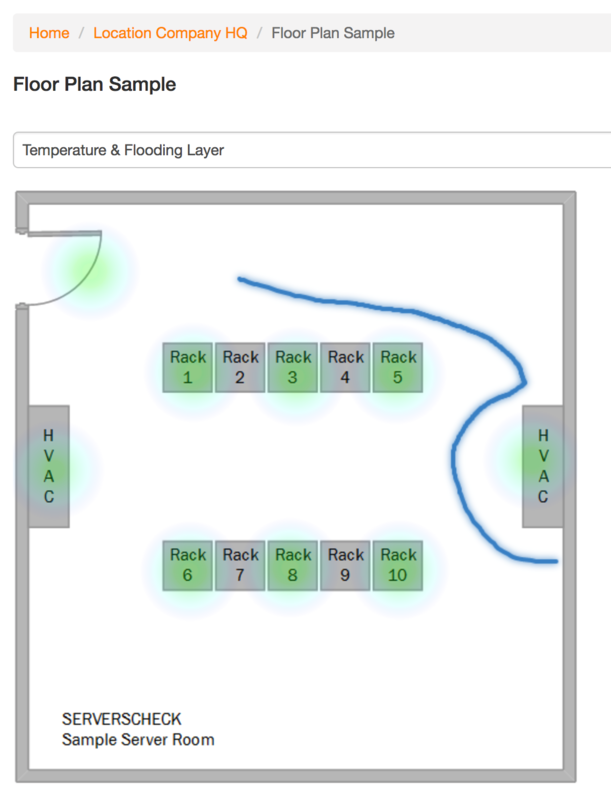 Generate heat, humidity and leak maps in real time on top of your own floor plans. It's really simple: upload your floor plan and then place with your mouse the sensors on the floor plan. The software automatically generates the layers on top of your floor plan. 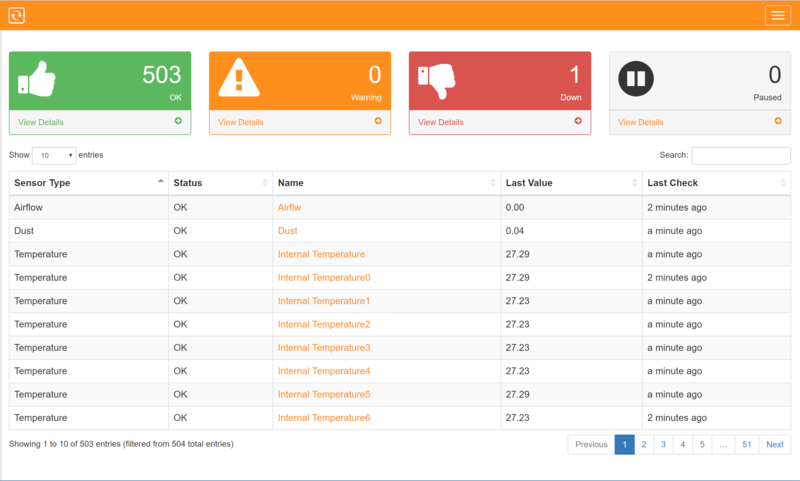 A complete newly designed interface for ease of use and performance. Get your monitoring data on any of your devices: tablet, desktop and smart phone. SMS Alerts via Cellular Modem. ServersCheck beats many other tools in this field as most of them fail in this critical job as soon as there is a network failure. 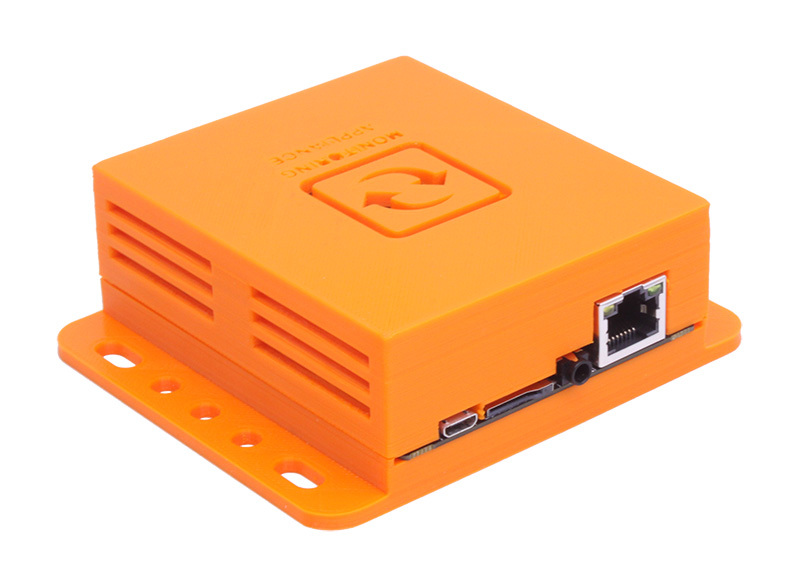 With a paid license of the Monitoring Software or Monitoring Appliance, you can connect a USB GSM Modem. 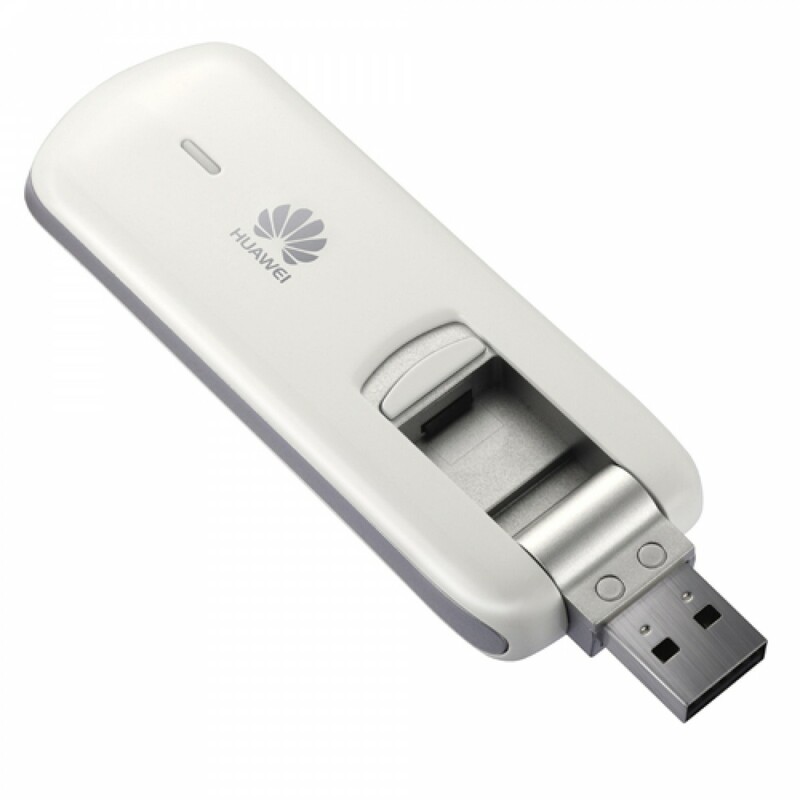 This allows you to be notified via SMS even when your mail server or network is down. A must have feature for any SysAdmin. 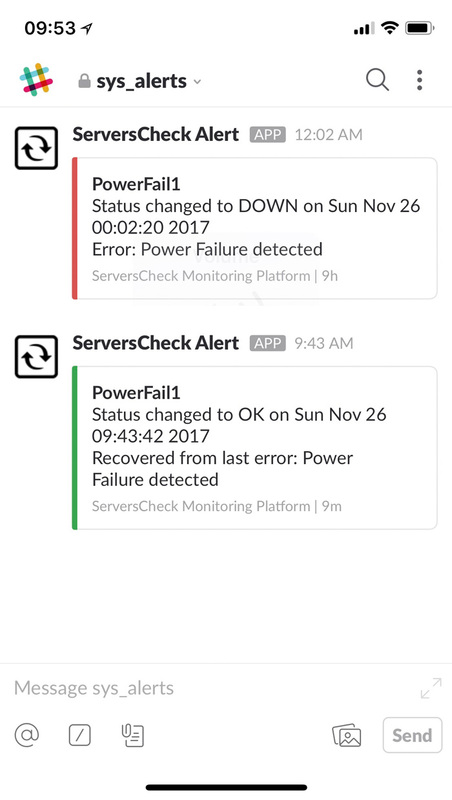 Get the alerts of the Monitoring Software or Appliance to you and your team into your Slack Channel. In just few steps you can get started. Check out here how to integrate Slack. The software is FREE for personal use in a non-commercial or non-government environment. 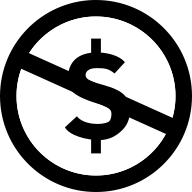 Use by a for-profit or government organization requires the purchase of a Monitoring Appliance.